Sprinkle the cut surfaces of the tomatoes with oregano, green onion, and giardiniera oil. 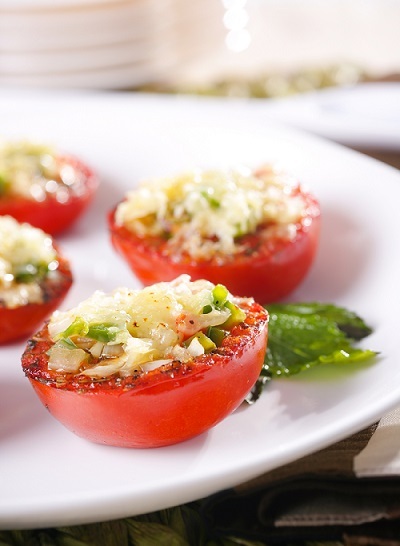 Place the cut surfaces of the tomato halves on a very hot grill. Grill for 2 minutes, during which time some grill lines will develop. Turn the tomatoes over and place over low heat. Fill tomatoes with the giardiniera and top with cheese. Cover the grill. Cook for another 3-4 minutes or until the tomatoes begin to soften without falling apart.